Very happy and pleased with Dexter at plaza auto mall, got my 3rd today. He's the best in the business. 10 stars and more to him. 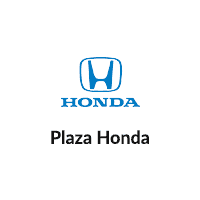 I had an awesome visit at Plaza Honda . Michelle was very knowledgable and friendly and made my entire experience run very smoothly. She kept her word and enabled me to get the car that I wanted. My family and I are enjoying our new vehicle. Thank you!!! I had a great experience at plaza. My finance managers Ivy and Ami were the best. Their team back there is efficient. Michelle and Kelsea helped me every step of the way. Best service I ever had! Bianca and Oscar was great!! !